Three months Vocational Training Programme on “Scientific Mushroom Cultivation” concluded today at College of Horticulture & Forestry, Central Agricultural University, Pasighat. The programme was sponsored by Power Finance Corporation, Ltd. A Govt. of India undertaking) New Delhi, for benefit of school dropout/unemployed rural youth of Arunachal Pradesh. 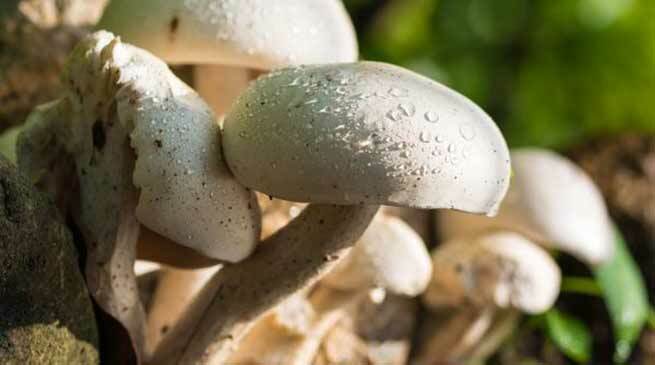 The programme was aimed at imparting scientific knowledge and skill to the participants on recent advances in scientific mushroom production technology. The welcome address given by Dr T. Shantibala Associate Professor, CHF, CAU, Pasighat. In his inaugural address, Chief Guest Prof. B.N. Hazarika, Dean, CHF, highlighted the importance of mushroom in human diet for providing nutritional security to farming community of NEH region. He further elaborated the future and prospects of mushroom cultivation in NEH Region. Guest of Honour Prof. D.B. Ahuja, Head of Plant Protection Department at CHF elaborated the scope of mushroom farming for entrepreneurship among rural youth of the State. He also highlighted different programmes run by the department for benefit of farmers and rural youth of the region. Course Director, Dr. R.C. Shakywar presented the brief report of the training programme. He appreciated the sincerity and interest shown by the participants during training programme and was of the view that such programmes should be organized on regular basis so as to bring more awareness and acquaintance among the rural youths and farmers on the need and importance of mushroom cultivation in the region. He also briefed the house about spawn production unit at the department and initiatives taken up under AICRP on Mushroom by ICAR-Directorate of Mushroom Research, Solan, Himachal Pradesh in promoting mushroom cultivation in the region. Later, Dr. Mahesh Pathak, Senior Scientist and Head, KVK East Siang, in his address, briefed the gathering about different extension activities taken up by the KVK and CHF for the benefit of farming community of the district. Dr. Pathak also emphasized on importance of management of mushroom units, and use of quality spawn and proven technologies for promoting mushroom cultivation for wealth from waste. Participants of the training programme also shared their experiences during training programme. Mrs Minam Tagu and others, from Pasighat area requested for organizing more such training programmes for benefit of rural youths. She also urged the organizers to make available quality spawn for mushroom farming. Furthermore, other participants also shared their views on mushroom production for nutritional security and higher economic returns. Later, Chief guest distributed certificates and spawn to the participants on successful completion of training programme. Altogether, 30 mushroom school dropout/unemployed rural youth from Mebo, Pasighat and Ruksin, blocks of East Siang district attended the programme. The programme ended with Vote of thanks by Dr.N. Surmina Devi.